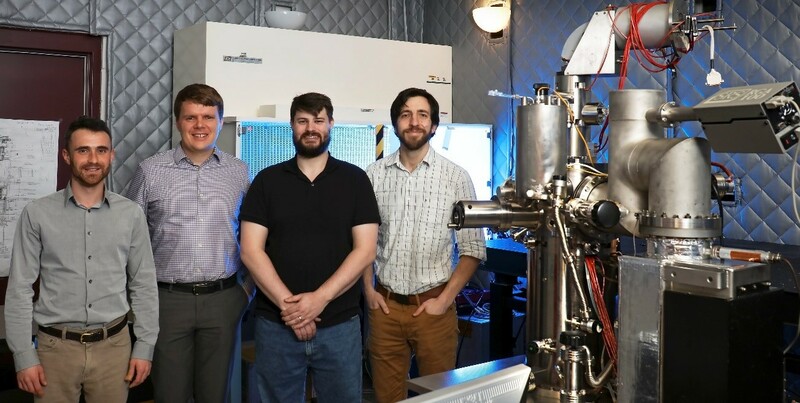 March 27, 2018 – Scientists at the Department of Energy’s Oak Ridge National Laboratory are conducting fundamental physics research that will lead to more control over mercurial quantum systems and materials. Their studies will enable advancements in quantum computing, sensing, simulation, and materials development. Quantum information is considered fragile because it can be lost when the system in which it is encoded interacts with its environment, a process called dissipation. Scientists with ORNL’s Computing and Computational Sciences and Physical Sciences directorates and Vanderbilt University have collaborated to develop methods that will help them control—or drive—the “leaky,” dissipative behavior inherent in quantum systems. Bringing perspectives from quantum information science, nanoscience and electron microscopy, the scientists exploit existing knowledge of matter and the physics of light and sound to examine the quantum nature of nanostructures—structures that measure about one-billionth of a meter. Electrons generate an electric field. When an electron beam is applied to a material, the material’s electrons are spurred to motion—a state called excitation—creating a magnetic field that can then be detected as light. Working with plasmons, electron excitations that couple easily with light, allows scientists to examine electromagnetic fields at the nanoscale. 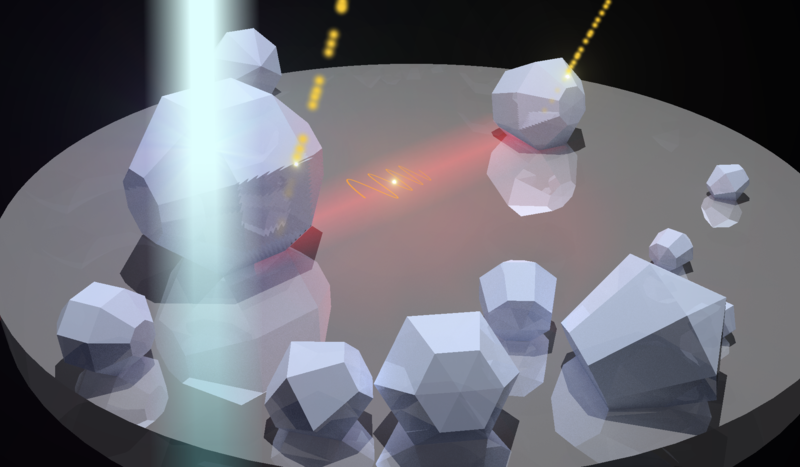 “This work advances our knowledge of how to control light–matter interactions, providing experimental proof of a phenomenon that had previously been described by simulations,” Lawrie said. This research is supported by ORNL’s Laboratory Directed Research and Development program and DOE’s Office of Science. The Center for Nanophase Materials Sciences is a DOE Office of Science User Facility.